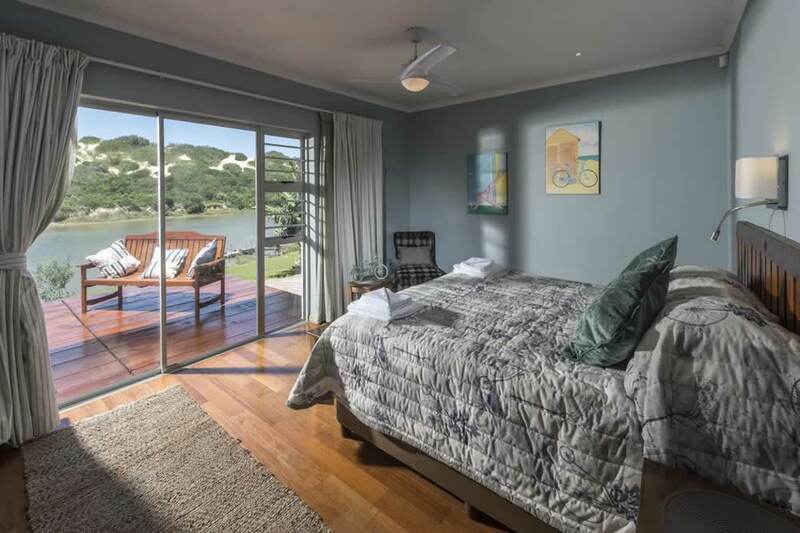 The River Cottage - Addo is situated on the bank of the beautiful Sundays River with unobstructed river views. 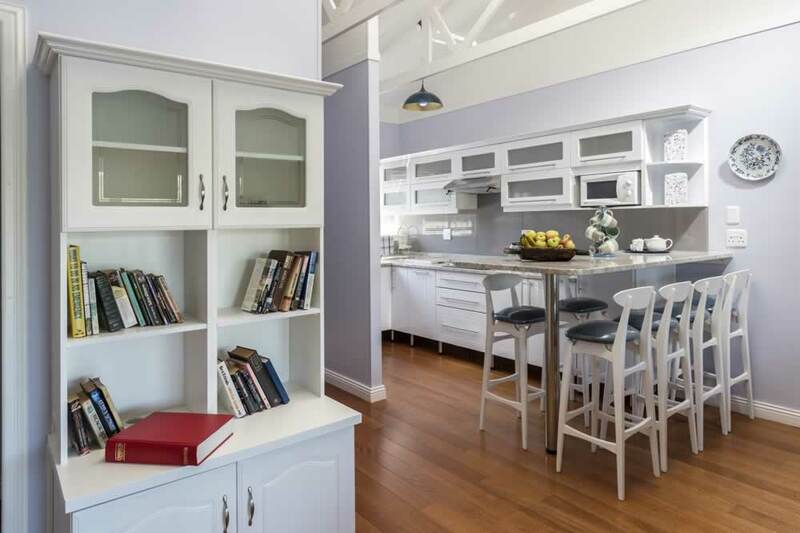 The River Cottage - Addo offers luxury bed and breakfast accommodation. 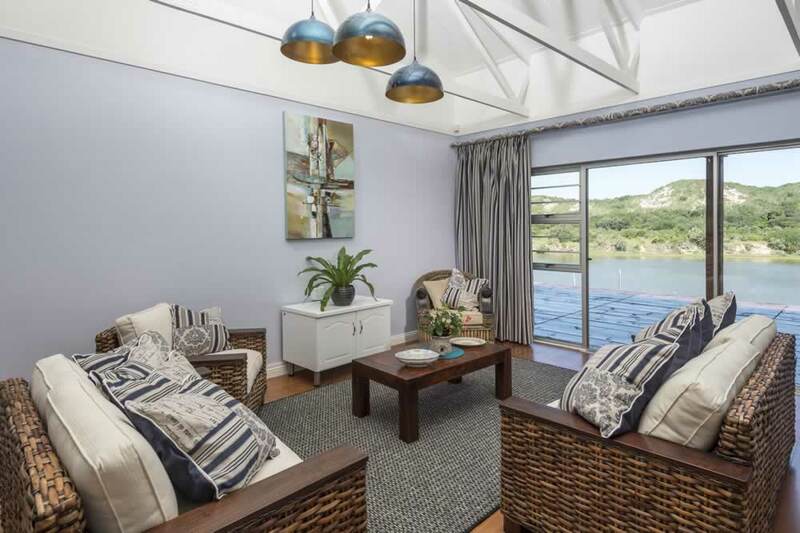 Located in Colchester, 5 minutes from the southern entrance to the Addo Elephant National Park's Matyholweni Gate, the River Cottage is ideal for visits to the Addo Elephant Park. 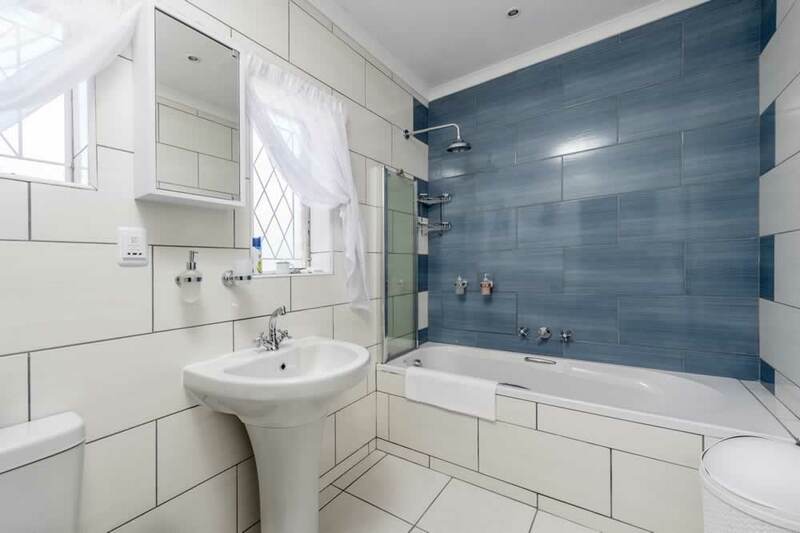 It is also close to Port Elizabeth with it's shopping centres and entertainment. Colchester and the Sundays River Area also offer numerous activities for the outdoor enthusiast ranging from leisurely river cruises to birdwatching and sand boarding/sledding. Please note that the River Cottage is reserved for adults only. Should guests wish to bring children, the full adult rate will be payable irrespective of age. The River Cottage is tastefully furnished in the colours that reflect the sand dunes and river for which Colchester is known for and present guests with a relaxing ambience that creates peace and tranquillity. 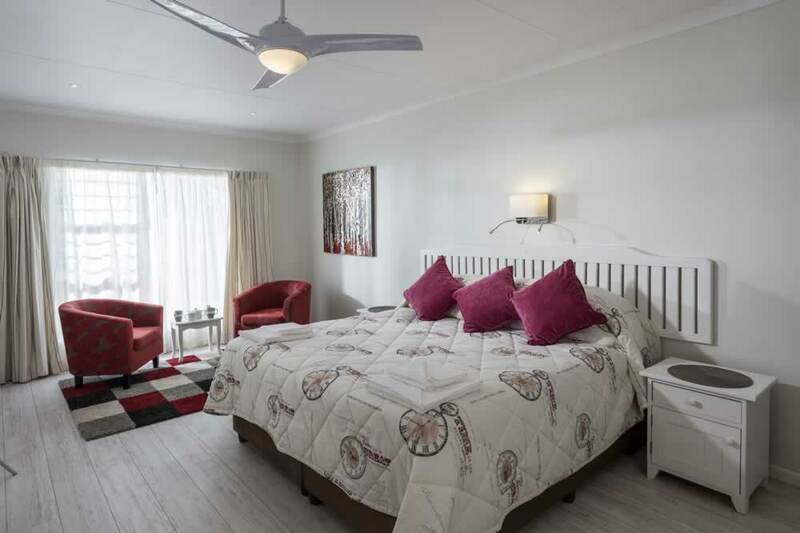 All the bedrooms have air conditioning, a fan, safe, sitting area, dressing table, hair dryer, shaving plugs and beautifully tiled en-suite bathrooms. 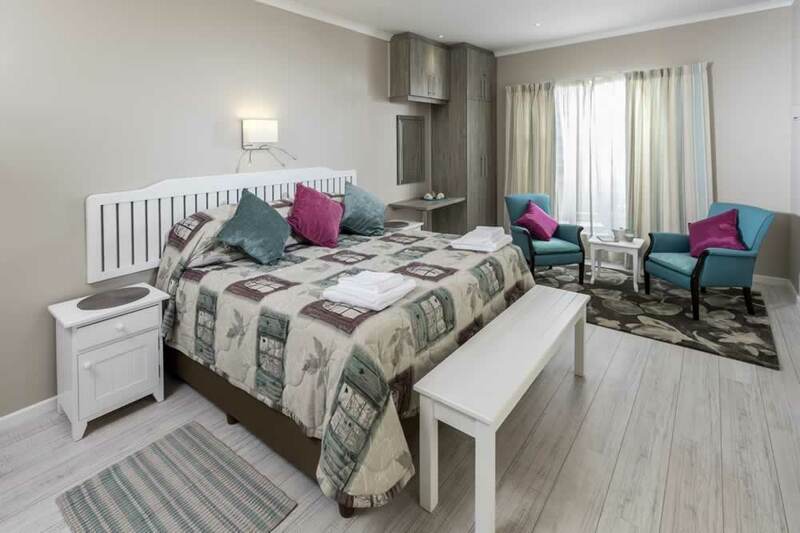 Two of the suites can be setup with 2 single beds, twin beds or an extra large king size bed. The front suite with a river view can accommodate twin or double beds. The River Cottage also has a lounge and kitchen as well as a wooden deck, which allows guests privacy in comfortable surroundings whilst enjoying amazing river views. Relax on the deck and enjoy the river birds, the cormorants and darters, the seagulls and Egyptian geese and the herons, as they go about their daily rituals of fishing and tending their young. Do not forget to look out for the wagtails or the swallows as they tempt you with their company. Enjoy your breakfasts on the deck at Dungbeetle River Lodge. Why not get up early, before you have your scrumptious breakfast on the Dungbeetle deck, have a swim in the cool, clean waters of the river. Perhaps an early morning canoe ride up the river, just to relax, or perhaps visit the sand dunes. Please report at the reception at Dungbeetle River Lodge to get the keys. © Copyright Dungbeetle River Cottage 2015. All Rights Reserved.